Dive & Snorkel Unique educational Great Barrier Reef experience incorporating the worlds's oldest living culture. 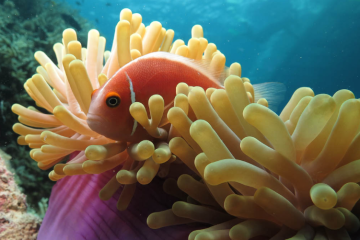 Gain a deeper cultural understanding of this diverse ecosystem. Listen to Dreamtime stories shared by indigenous rangers. 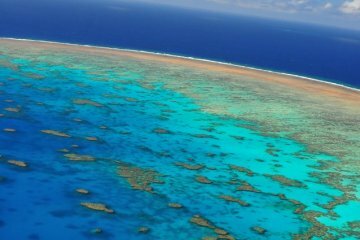 Get High Up Top & Dive Down Under This package will offer a truly memorable reef experience to the true outer edge of the Great Barrier Reef. 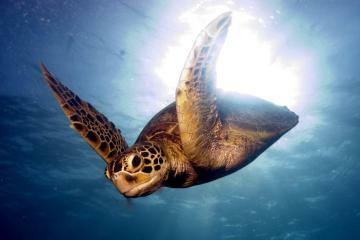 Your choice of 3 reef trips! 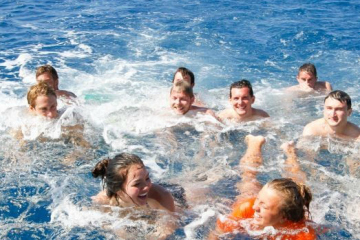 The 3 Day Ultimate Reef Pass is your ticket to the best and widest range of cruises from Australia's most awarded reef cruise company, the Quicksilver Group. Sunlover Cruises Outer Reef platform A memorable trip to an Outer Barrier Reef activity pontoon at Moore Reef. Young children can swim inside a paddle pool that fish can also swim into. 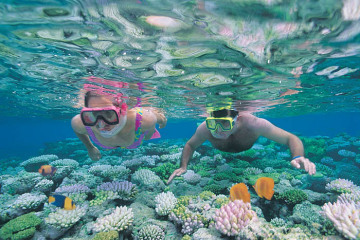 Reef Experience visits 2 Outer Reef locations with six hours to enjoy snorkelling and diving and relaxing! 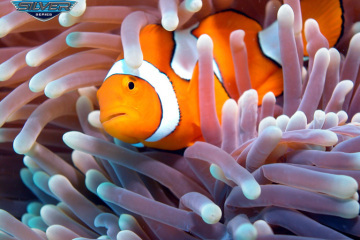 Reed Magic Cruises Marine World Platform on the Outer Reef offers a full range of facilities and activities on-board. The pontoon is a large stable structure based at Moore Reef with extensive undercover and seating areas. 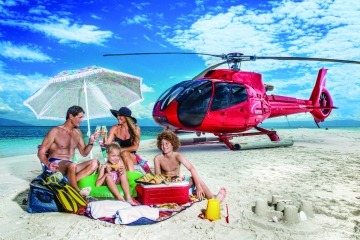 Secluded Sandy Cay Picnic Imagine.... just you and your friend, your private helicopter and your footprints on your own secluded island set in the middle of the Coral Sea. Equipped with a gourmet picnic hamper complete with sparkling wine, snorkel gear, beach umbrella, picnic blanket and cushions. After two hours in this secluded paradise, you'll enjoy another reef scenic flight back to your life as you once knew it. Iconic budget Outer Reef great fun & friendly trip popular with young adventurous peeps. Boomnetting is awesome fun and this is the only tour that offers this activity. 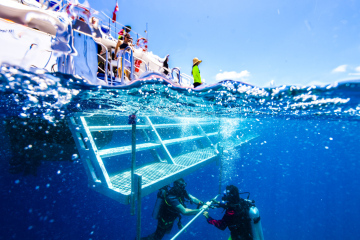 Quicksilver Outer Reef luxury activity platform World Famous Reef Cruise departing Port Douglas to the clear and pure waters of Agincourt Ribbon Reef Pontoon on the very edge of Australia's Continental Shelf. 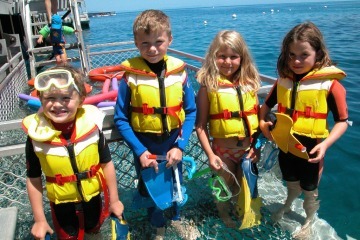 - Snorkelling equipment (mask, fins, snorkel), Buoyancy vests and flotation noodles. Evolution ultra spacious and modern vessel visiting two Outer Reef destinations in one day. Teens to 16 yrs are at Children's prices. Family packages also apply. - Aussie BBQ lunch including steak, fish, prawns etc..
Island & Outer Reef in One Day!! 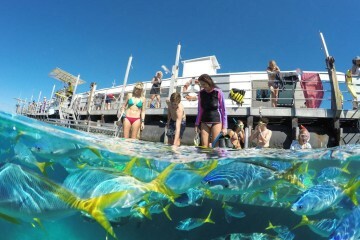 Green Island & Outer Barrier Reef Platform in one day with Great Adventures is the ultimate day out. Explore Green Island for two hours, a superb coral cay with delightful sandy beaches and crystal clear waters. 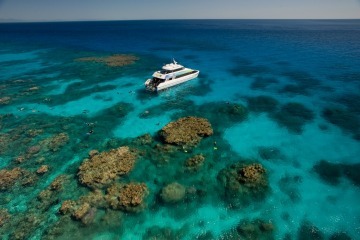 Then cruise on-board a high-speed catamaran to a multi-level pontoon on the Outer Barrier Reef. 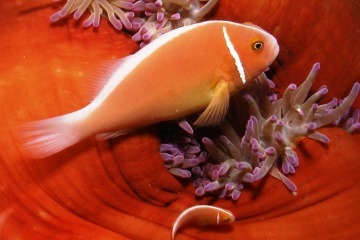 Passions of Paradise visits two reef locations on the Great Barrier Reef.